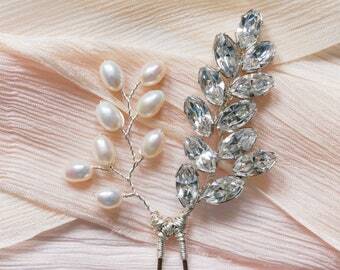 Isabella May Accessories - luxury bridal accessories. Announcement I create luxury handmade bridal accessories and specialise in bespoke pieces designed to match a brides wedding dress. Each item is handmade to order in my studio in Edinburgh, Scotland. I use only the finest quality materials to create each of my designs. I'm always making something new so check out my Instagram page @IsabellaMayAccessories to see my latest creation. Take a look at some of my signature pieces in my collections or get in touch if you'd prefer something a little more unique! I also offer a 'something blue' service where I can add a touch of blue to your chosen hair accessory, get in touch for more information. 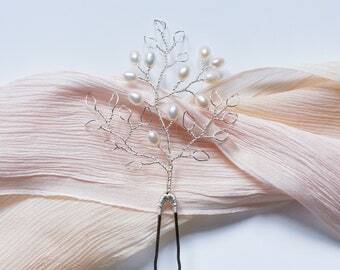 I create luxury handmade bridal accessories and specialise in bespoke pieces designed to match a brides wedding dress. Each item is handmade to order in my studio in Edinburgh, Scotland. I use only the finest quality materials to create each of my designs. I'm always making something new so check out my Instagram page @IsabellaMayAccessories to see my latest creation. Ivy Hair Pin -bridal hair pin, bridal headpiece, swarovski hair pin, vintage hair pin, bridesmaid hair pin, silver/gold/rose gold hair pin. Ivy Triple Stem Hair Pin -bridal hair pin, bridal headpiece, swarovski hair pin, bridesmaid hair pin, silver/gold/rose gold hair pin. Ivy Single Stem Hair Pin -bridal hair pin, bridal headpiece, swarovski hair pin, bridesmaid hair pin, silver/gold/rose gold hair pin. 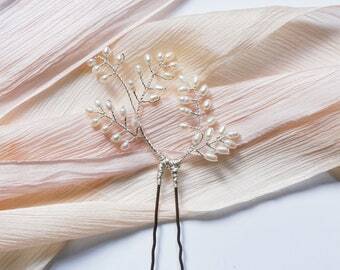 Fern Hair Comb, Bridal Haircomb, Bridal Headpiece, Pearl Haircomb, Pearl Hair Accessories, Silver, Gold, Rose Gold. 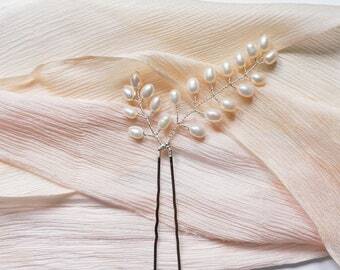 Fern Asymmetric Hair Comb, Bridal Haircomb, Bridal Headpiece, Pearl Haircomb, Pearl Hair Accessories, Silver, Gold, Rose Gold. Evie Hair Pin -bridal hair pin, bridal headpiece, swarovski hair pin, vintage hair pin, bridesmaid hair pin, silver/gold/rose gold hair pin. I am so grateful to have been able to have purchased from Kelsey. She was so compassionate and shipped all the snowflakes in a timely manner. We used them for favors for my mom's 50th birthday. Out of all the surprises these were one of her favorites! Highly recommend this item and would buy again if needed. HEATHER HAIR PINS - inspired by gorgeous stems of the Heather flower. 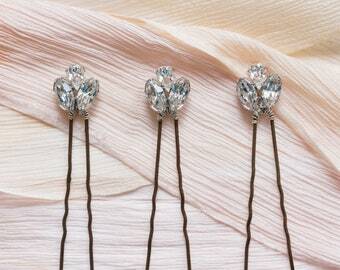 ADA HAIR PINS - small, delicate and elegant. FERN HAIR COMB - our new Fern Asymmetrical hair comb, from our new Spring 2018 collection, in the making. WISTERIA AND HEATHER HAIR PINS - our new Wisteria hair pin paired with our Heather hair pins. Isabella May Accessories is a Luxury Bridal Accessories brand, specialising in creating individual, unique and beautiful finishing touches for your Wedding Day. After attending an accessories design course run by Janet McCrorie in Edinburgh in 2012, Kelsey was asked by a friend to make hair accessories to match the beadwork of her wedding dress. After creating a bespoke set of hair pins and a tiara to match the dress embellishment exactly. Kelsey has since specialised in creating bespoke hair accessories and bridal jewellery to match the lace detail or beadwork in a wedding dress. 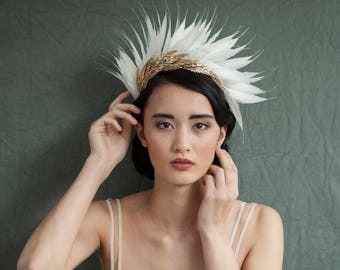 Named after Kelsey's two grandmothers, Isabella May is founded in love and the desire to create perfectly unique accessories for the modern bride. Shop the collection or request a bespoke design to coordinate with your wedding dress. Imperfectly perfect… for the truly modern, independent, elegant with a touch of boho chic bride. 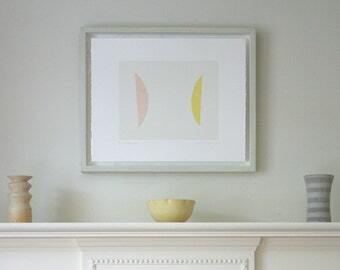 I handcraft each piece with love in my Edinburgh studio. As in nature, no two of my accessories are ever the same, creating a perfectly unique accessory for you. I use only the finest quality materials, including Swarovski Crystals and Freshwater Pearls to create all of my accessories. I indulge care, love and attention into each of the designs to ensure you receive a gorgeous new heirloom accessory to treasure forever. Choose from my beautiful collection of Hair Pins, Combs and Headbands or get in touch for me to design and create something bespoke just for you. 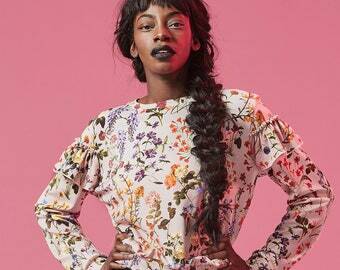 I love to design, create and handcraft each and every single Isabella May Accessory. 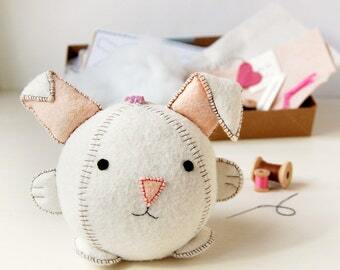 Hello and Thank you for stopping by the Isabella May Etsy Shop! 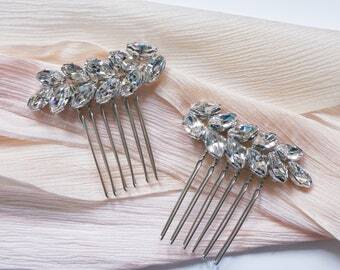 I specialise in luxury handmade bridal accessories. Each item is handmade to order in my studio in Edinburgh, Scotland, using only the finest quality materials. I'm always making something new so check out my Instagram page @IsabellaMayAccessories to see our latest creation. Please do not hesitate to ask for help with your order, I'm always happy to help! Like one of my designs but fancy something a little more unique? 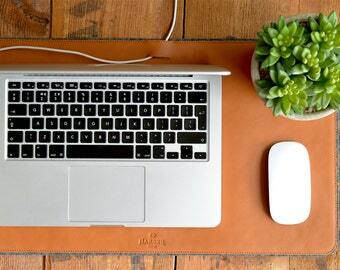 Get in touch for a bespoke accessory! I'm sure you'll love you Isabella May Accessories, but if for any reason you wish to return or exchange your purchase please contact and return the items to me within 14 days of receiving your order. Items must be returned in perfect, unused condition, with tags still attached, and in original packaging. All items must be returned via a Tracked and Signed guaranteed delivery method. Only items returned in their original condition will be accepted. For international orders, only packages that clearly state “UK GOODS RETURNING TO SENDER” will be accepted. If the package is not clearly stated as a return, we will be charged import duties on our own product and the package will be refused and returned to the customer. Once we have received the item and verified that the above conditions are met, we will promptly process the refund/exchange. Please note, refunds will be minus the cost of postage and the customer must cover the cost of the return delivery. Earrings, bespoke and custom orders are non-refundable. If any items from your order are missing, broken or damaged when your package arrives please contact us with your name, transaction ID and a description of the problem. We will do everything we can to get the issue resolved in a timely manner to ensure that you are happy with your purchase. We accept payment using Etsy Payments, which allows a variety of payment options, including MasterCard, VISA, American Express, Paypal, and Apple Pay. Payment must be received prior to shipping of items. Orders can be cancelled within 24 hours of purchase. Please message me if you have any problems or concerns. Each of our items are handmade to order in my Edinburgh studio. You can expect to receive your order within 2-3 weeks (this may be a little longer for International orders due to delivery times). If you need your order sooner please message me and I will do my best to accommodate. If you would like to customise your accessory in anyway or have any questions regarding your order please get in touch. All items are lovingly packaged in a bespoke Isabella May box so that they arrive to you safely and can be treasured for years to come. All items are shipped with Royal Mail. UK orders will be shipped using Royal Mail Special Delivery Tracked, for next day delivery. International orders will be shipped using Royal Mail International Tracked & Signed, for delivery within 5-7 working days. International orders may also incur additional customs and import taxes. Please note we have no control over how long your customs department may hold your package. Please check the shipping address is correct as Isabella May Jewellery will not be held responsible for any customer errors in the shipping address. I'll be in touch when your order has shipped to provide you with tracking details. Though rare, packages can get lost. We use tracked delivery to try and minimise this. For UK deliveries please allow up to 5 working days after the due date. For International deliveries please allow up to 25 days after the due date. If your items still have not arrived within these time frames please get in touch with us to remedy the problem. If you would like to customise an order or an original bespoke design please get in touch and we can discuss ideas and put together a custom order. Processing time for custom orders may vary, but we can provide an accurate dispatch date once the design concept is finalised. Please note custom and bespoke orders are non-returnable. If you would like to stock Isabella May products in your store please contact us to discuss wholesale prices.